Ken Livingstone was still Mayor when it was announced that the Circle, District, Hammersmith & City and Metropolitan lines would be getting new air-conditioned trains and a new signalling system. The first new train arrived in 2010, and the entire rolling stock overhaul was completed in 2017. But it was only yesterday that the new signalling system finally entered public service, and for the time being only on a very short section of track. Hurrah for SMA 0.5. 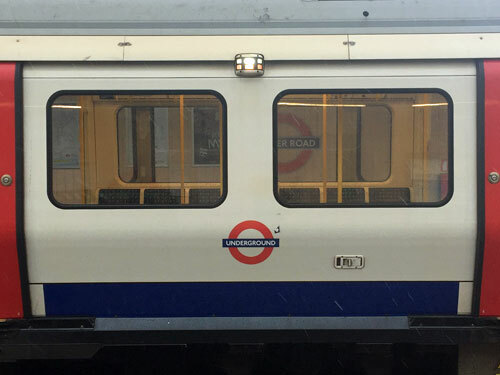 Resignalling for the Four Lines Modernisation project has been an ongoing catastrophe ever since TfL awarded a multi million pound contract to a company who couldn't deliver. Bombardier were sent packing in 2013, with an £85m payout, and a fresh contract agreed with Thales instead. 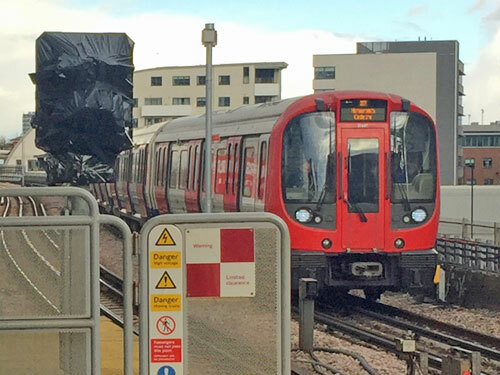 New trains had to be recalled to fit the second company's software, an extra five years was added to the project timeline and it was estimated that the entire debacle will cost TfL £886m more than originally planned. Thales haven't been having too much luck either, and what finally happened yesterday was originally scheduled for summer last year. Some of the existing signalling on the subsurface railway is over 60 years old. Signallers lurk in trackside cabins pulling levers, red and green lamps control progress out of platforms, and best not mention the state of the wiring at the far end of the Metropolitan line. This has obvious repercussions on reliability - roughly half of signal failures on the Underground occur on these four lines - but also crucially on frequency. Introducing electronic signalling will allow trains to run safely closer together, eventually ratcheting up peak core services to better than every two minutes. Just not quite anytime yet. 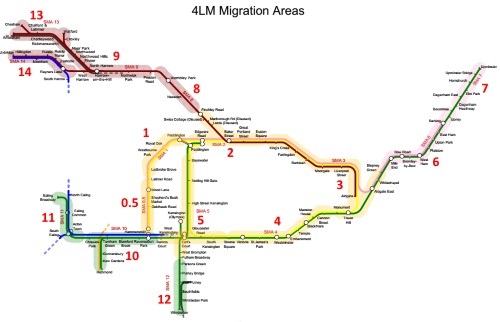 Rather than introduce the new signalling system all in one go a more cautious migration is underway, with the subsurface network divided up into a dozen or so separate zones. The Hammersmith branch is up first, because that's easily segregated from everywhere else, and even then TfL haven't dared do the whole lot in one go. Instead they've focused on the short stretch from Hammersmith to Latimer Road, nicknamed Signalling Migration Area 0.5 (or SMA 0.5 for short). Initially it was supposed to go live in June 2018, but things went badly and the Hammersmith signal cabin was given an unexpected reprieve. A second attempt in November was also delayed due to inadequate software - very much the modern railway curse - and final commissioning was eventually pencilled in for mid-March. 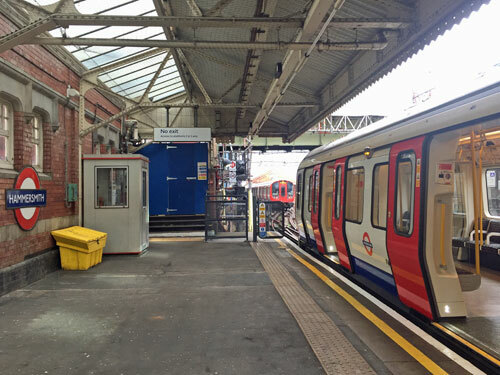 TfL told the public there was a full weekend closure of the Hammersmith branch while continuing to run a full service, as cover to ensure that everything really was running smoothly. Thankfully it was, so at 2pm yesterday afternoon they quietly opened up all the stations and started operating a 'preview service' as if nothing important had just happened. It very much had. Trains towards Hammersmith still run absolutely normally until Latimer Road, the driver at the controls keeping a close eye on ageing red or green signals. But from Latimer Road onwards all the signals and associated signage have been wrapped in black plastic, and now all the driver has to do is press a button at each station and the electronics does the rest. This weekend a squad of additional staff stood waiting at the end of this first platform, hopping into the cab all the way to Hammersmith to observe how it's done, then hopping out again on the return journey to cycle round again. My experience aboard one of the first trains is that most passengers aren't going to notice a lot of difference. That said the trains do accelerate and decelerate a little more smoothly, because computers are better at being optimal. A happy consequence is fractionally faster journeys between stations, but for now also fractionally longer waiting at platforms because trains still have to stick to the current timetable. That'll change later. I also noted the temporary presence of TfL/engineering staff clustered in the front carriage, sporting name badges and rolled-up hi-vis tabards, and broadly smiling. Inside the train all may seem normal, but outside there's a splendidly geeky thing to spot. Every S Stock carriage has an external light containing a lower strip which glows orange to show that the doors are open, and above that another strip which has always remained dark. That upper strip now lights up white when a train is ready to go, giving a few seconds warning that the automatic system is cleared to depart. Previously 'movement authority' was indicated by a green signal at the end of the platform, but now it's the trains themselves which display the information. This only happens where the computers are in control, so currently only between Latimer Road and Hammersmith, but eventually everyone'll be able to use the white lights as a signal that it's time to jump aboard. SMA 0.5 is now permanently switched over to the new system, with the remainder of the four lines still manually operated, but as further sections are added drivers will increasingly find themselves with less and less to do. Up next in July is SMA 1, from Latimer Road to Paddington, plus the more challenging SMA 2 from Paddington and Finchley Road to Euston Square which contains two operationally complex junctions. SMA 3, SMA 4 and SMA 5 will run sequentially around the Circle line, the first of these (Euston Square to Monument/Stepney Green) currently scheduled for September. Past evidence might suggest not being excessively optimistic. SMA 6 and SMA 7 will extend automation to Upminster, probably in 2021, allowing many of the most important frequency benefits to brought into play. More frequent trains with greater capacity was always the ultimate aim when the new rolling stock for the 4LM project was announced way back in 2006. 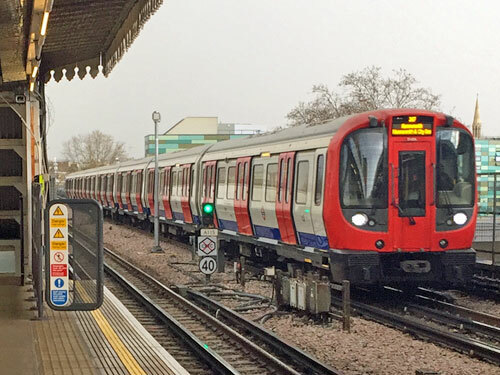 At the end of the upgrade queue will be sections of track shared with other railways, notably the spurs to Richmond (SMA 10) and Wimbledon (SMA 12), the Metropolitan line beyond Moor Park (SMA 13) and finally the Piccadilly jobshare to Uxbridge (SMA 14). If automated operation ever gets this far, it might be in 2023. If you'd prefer a more detailed or technical version of what's going on, Jack has all the insider information from the decommissioned Hammersmith cabin, and Rog went down yesterday afternoon and actually spoke to drivers and other staff. Alternatively, if all you want to know is whether automation's reached your train yet, just watch out for the white lights.